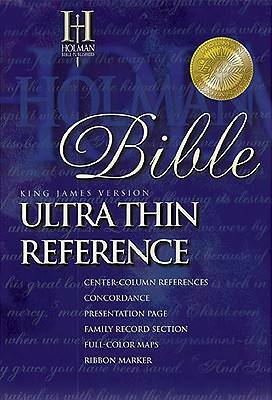 The only reference Bible this thin with print this readable. The type face is remarkably clear and easy to read for such a thin Bible. Features include: center-column references, concordance presentation page/family record section, full-color maps, words of Christ in red, and India paper. Black bonded leather with semi-overlap binding and gold page edges.